The rising cost of recycling was a primary topic during the 2018 MassRecycle conference in Framingham, MA on March 23. From the industry's perspective, this will require more educational resources from municipalities and a willingness to potentially reassess contract terms. "This is a time for us to all work together," said Ben Harvey, president of E.L. Harvey & Sons. "We're in the tunnel and there's no light at the other end." The Massachusetts Department of Environmental Protection (DEP) discussed available grant funding for education, infrastructure development and other projects — along with a potential statewide list of universally accepted materials — but was similarly frank. "Recycling may cost as much as trash disposal for the foreseeable future," said Brooke Nash, DEP's branch chief for waste reduction. In the concluding keynote, Solid Waste Association of North America (SWANA) CEO David Biderman predicted that the recent U.S. decision to ask China for a reconsideration at a World Trade Organization (WTO) meeting could be a sign of more to come in international politics. "I think we're part of a bigger trade picture, which is problematic because we don't control our own destiny in this area," he said. The annual conference for this industry-backed nonprofit, co-hosted with SWANA's Southern New England chapter, comes at a time of disruption for many Massachusetts recycling programs. In the months since China announced and enacted new import policies, the state has felt the effects worse than others. Due to a "perfect storm" of circumstances this winter, the DEP issued more than 30 single-stream disposal waivers. The situation has improved marginally in recent months, but most material remains difficult to move at anything close to a profit. A current collapse in the local glass market, resulting in at least nine more disposal waivers, has further exacerbated the economics. Harvey said that from a financial standpoint it's now harder to justify spending extra money to process a recycling stream where roughly 70% of material has no value. Slowing down the lines at his MRF also means inbound tonnage backs up. Even then, it's unclear what exactly Chinese inspectors will consider a contaminant. For fear of being on the hook to reclaim a rejected container, he's turned to other less lucrative markets and is still sitting on a large amount of material. Getting a handle on contamination — which could be anywhere from 10-20% at the MRF — may be similarly intangible but also the easiest to control. While Harvey isn't interested in seeing drivers get out of their trucks to inspect carts, he does support the possibility of routine load audits from municipalities as a way to enforce contamination costs. The DEP is offering municipal grants for curbside inspection and education, and also working on a statewide list of universally accepted materials. 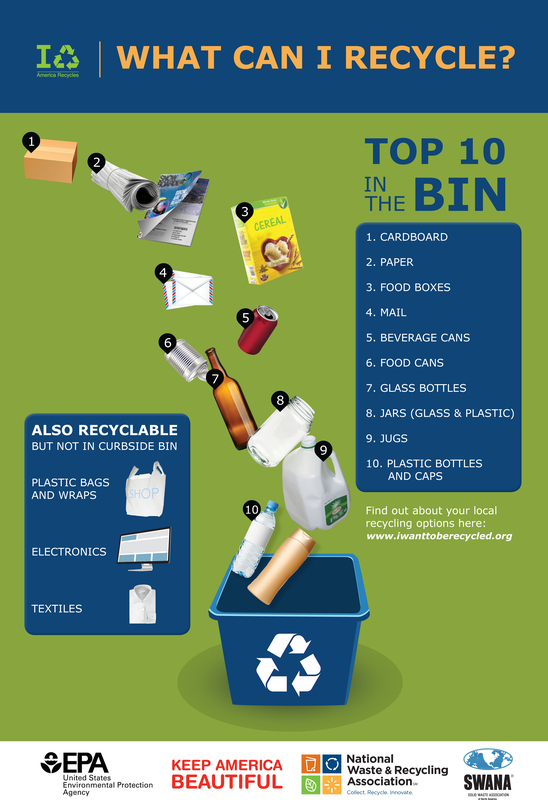 This would be similar to what Connecticut did last year, what recyclers in Oregon are now pushing for, and what was included in the Environmental Protection Agency's "Top 10 in the Bin" list. Biderman also mentioned plans to coordinate an updated version of that national list. While Nash said all involved should "stay the course," after investing collective years and dollars in building the current recycling system, that still requires action. Enforcing contamination standards "takes political backbone," requiring hard conversations with residents and elected officials. Many of those conversations will come back to money, so that processors such as Harvey don't face a scenario where it's less expensive to close their doors than keep accepting the inelastic single-stream supply at a loss. Though many in attendance are also waiting for forces beyond their control to play out. Domestic infrastructure development will take time, growing Southeast Asian markets may not be reliable (according to Biderman) and international trade politics are complex. In the meantime, Massachusetts recycling coordinators need to step up their game and be thankful that their state has some of the highest disposal costs in the country as an incentive to figure this out.